World No. 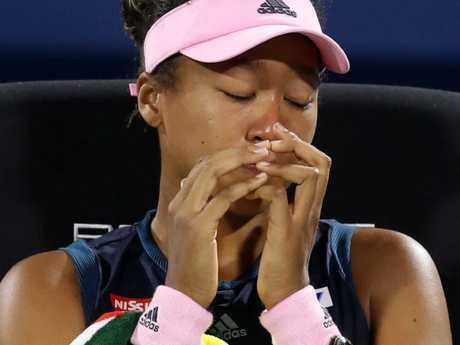 1 Naomi Osaka had to wipe away tears in her post match interview after crashing to a shock loss in the first round of the Dubai Championships. The Australian Open champion was finally overcome by the storm that has surrounded her in recent weeks following her shock split from coach Sascha Bajin, who guided her to the top of the WTA Rankings. It was her debut appearance as the best player on the WTA Tour after winning the Australian Open last month - and she admits the pressure was all too much. She never found her rhythm and was sensationally bundled out 6-3 6-3 in just over an hour by the World No. 67 Kristina Mladenovic, who had lost every other singles match she had played so far in 2019. After her inexplicable meltdown on court, Osaka wasn't able to keep her emotions in check during her press conference and at one point was asked if she needed to leave the room to compose herself. "I don't think I necessarily understand what position I'm in in a way," Osaka said of her struggle to come to terms with the fact that she is one of the highest profile stars in tennis right now. Naomi Osaka had a hard day at the office. "And because last year I wasn't even anywhere close to this ranking and people didn't pay attention to me and that's something that I'm comfortable with." It was at this point that Osaka briefly broke down and had to hide her face as she wiped away tears. "I don't know why I'm crying," she said. "I don't know why this is happening. "I don't really like the attention, so yeah, it's been a little tough." She went on to explain the combination of greater media exposure and the ongoing intrigue surrounding her split from her mentor all contributed to her emotional state. "This match is the result of that," Osaka said of her coaching shake-up. "I'm pretty sure as time goes on you guys will stop talking about it. For now, it's like the biggest tennis news, I guess. "See, it's a little bit hard because I feel like people are staring at me, and not in a good way." 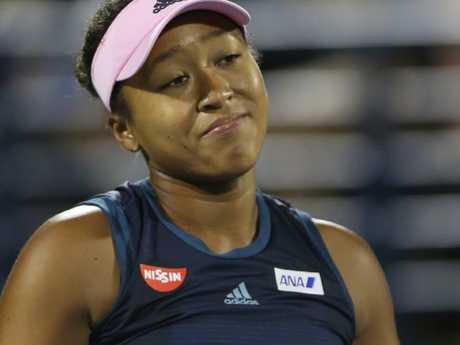 Playing a second-round match after an opening bye as the tournament's top seed, Osaka won only 5 of 27 second-serve points, just 19 per cent, and barely half of her first-serve points, 12 of 22. "I played pretty bad, you have days like that. You just have to find a way to, like, win no matter what the situation is," Osaka said. "(My serve) was a disaster. I haven't been practising well recently, it would go away during the matches. I was kind of counting on that - it didn't happen. Nothing worked for Naomi Osaka. "But even if I don't win any matches for the rest of the year, I wouldn't say I'm concerned. I think I'm pretty young. I still feel like I have a lot to learn. "After I lose a sort of bad match, I'm just looking forward to the next tournament." Osaka refused to blame her poor performance on her coaching split. 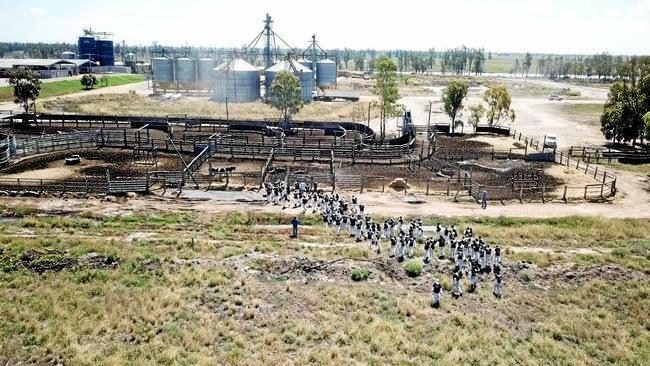 "Everyone thinks it was a money-related issue, but it wasn't," she said. "I think my reason is I wouldn't put success over my happiness." The second set was riddled with seven consecutive breaks of serve before Mladenovic finished off the job with a winner to the empty court on match point. Osaka stunned the tennis world last week by announcing her split from coach Sascha Bajin despite winning back-to-back Grand Slam titles at the US and Australian Opens. She said earlier this week that she would not prioritise "success over happiness" when asked about the sacking, and she never looked like winning in Dubai as she also served five double faults.